The CR-Z from Honda was a bit of a surprise for me: A surprise it took Honda so long to come out with a modern version of its popular little car; a surprise it came out as a hybrid; and a surprise that I found myself a little disappointed by the whole thing. As a modern CR-X, it has gained a bit of size and heft and as a hybrid it comes up a bit short on gas mileage. The new CR-Z gets worse fuel economy (highway and averaged) than quite a few gasoline-only cars currently in the Honda fleet and even gets bested by both Civic and Insight hybrid stablemates. I am surprised CR-Z offers a manual gearbox in addition to the CVT, a transmission that allows the car to get roughly 10 percent better gas mileage. And I am surprised that Honda has already had to issue a recall for the manual-equipped CR-Z models to fix a software glitch that could allow the electric motor to spin the opposite direction your shifter choice. The car is billed as a sporty hybrid coupe with aggressive styling and while I agree on the styling point the CR-Z would not make my list of favorite sports cars. 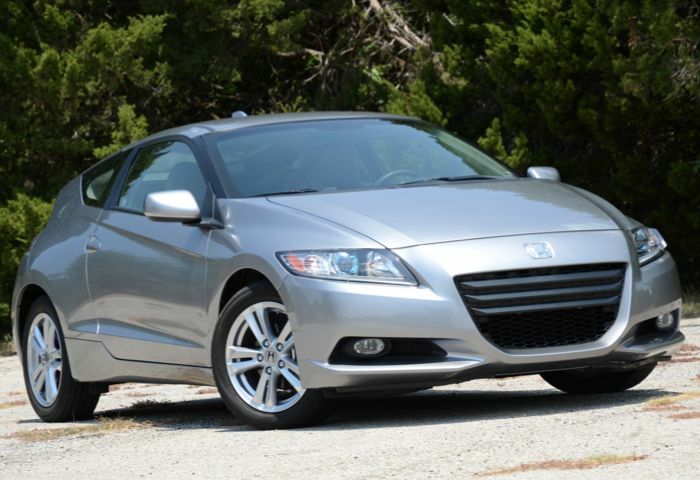 Give me a “Z” over the CR-Z any day. I always felt the first-generation Insight hybrid from Honda paid homage to the CR-X. The current Insight almost looks too much like a knock-off of the Prius. Since Honda’s real sport coupe S2000 was yanked off the line a couple of years ago perhaps the automaker should have concentrated its efforts there (like, say, an S3000). 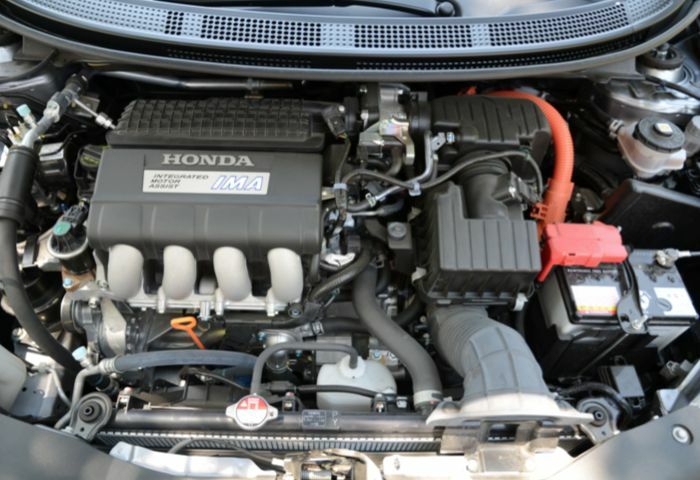 The CR-Z uses Honda’s Integrated Motor Assist technology which I have not been such a big fan of. The constant start/stop of the gasoline engine is not silky smooth and I wish Honda engineers could give their hybrid vehicles more of an extended EV range. If you get used the start/stop nature of the IMA system (and you better because quite a few automakers will be coming out with this in new vehicles in the near future as another way to tweak a few mileage points on our way to 2025) the CR-Z operates just fine on the road. Until you look in the rearview mirror and discover the traffic behind you hidden by a large bar splitting the rear glass in the hatch. The new CR-Z features a great design by Honda and I hope it does not go away soon. Just put your heads together to solidify a couple achilles heals like maybe offer a gas only option and reduce that rearward blindspot. CR-Z is heavier than both the Civic Hybrid and the Insight but sports an extra 200cc of displacement in the gasoline engine for a bit more overall power so from the driver’s seat performance is a wash. 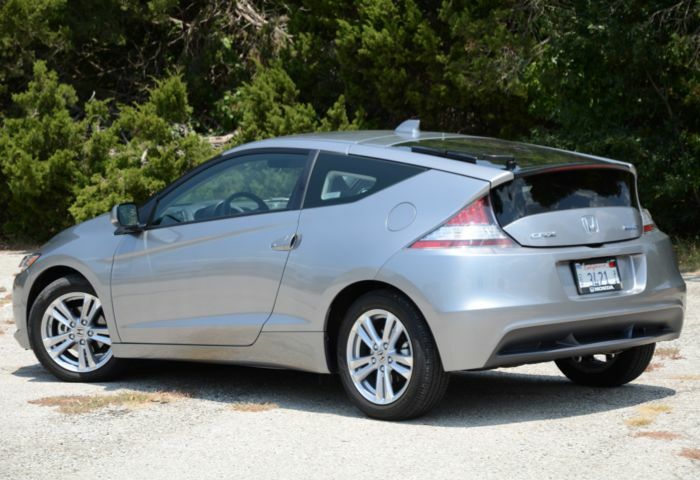 The 2011 CR-Z EX model with NAVI that we tested came as loaded as one can get a CR-Z and rolls in at $23,310. For the record, fuel economy with the manual gearbox is 31 mpg city and 37 mpg highway – better around town than most gas only vehicles but the 37 highway is beaten by more than a handful these days. In terms of environmental footprint the CR-Z is rated a perfect 10 for global warming score and near-perfect 9 for its smog score.